The Committee is pleased to announce the launch of our Magna Carta Exhibition at the High Court of Australia – ‘Magna Carta: To None Will We Deny Justice‘. The exhibition will be open until the end of June. 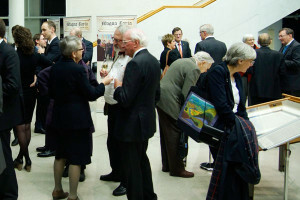 Nicholas Cowdery, Chairman of the Magna Carta Committee, launched the exhibition following a lecture in the Main Court given by Professor Paul Brand on the history of Magna Carta and the Common Law. He reported that the exhibition had already been visited by over 240 students from a number of different schools! 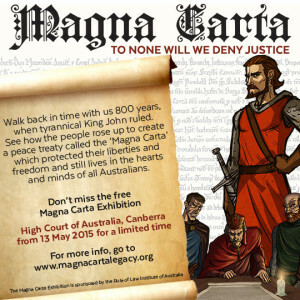 The exhibition tells the story of the Magna Carta and is focussed around the replica of the 1215 Salisbury Magna Carta commissioned by the Rule of Law Institute of Australia. 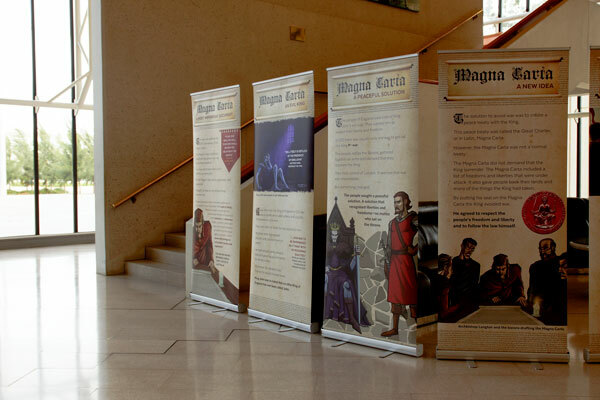 The story of the Magna Carta is told through a series of illustrations with words suitable for primary school students. 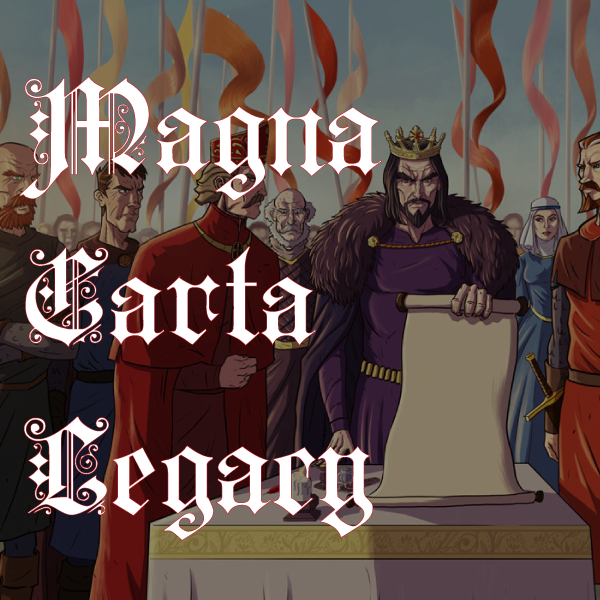 The story takes students into the medieval world of the Magna Carta and challenges them to consider the modern relevance of principles such as the rule of law, democracy and the presumption of innocence. 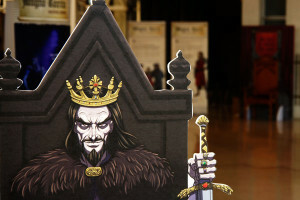 Interactive displays such as a throne room, a head hole display of barons and Archbishop Stephen Langton, a fierce and sinister looking King John allow students to enjoy engaging with the story of Magna Carta. The exhibition is expected to be seen by over 5000 students in the month that it is on display at the High Court. As a result of the exhibit more and more students are engaging with this great cornerstone of our society. The exhibition was developed by the Rule of Law Institute of Australia with illustrations by Alan Chen, design work by Rebecca Jee Creative, and design/construction of the replica stand by Everett Creative. A promotional card for the exhibition at the High Court.